Highest of the Shannons with good views and relatively few visitors. 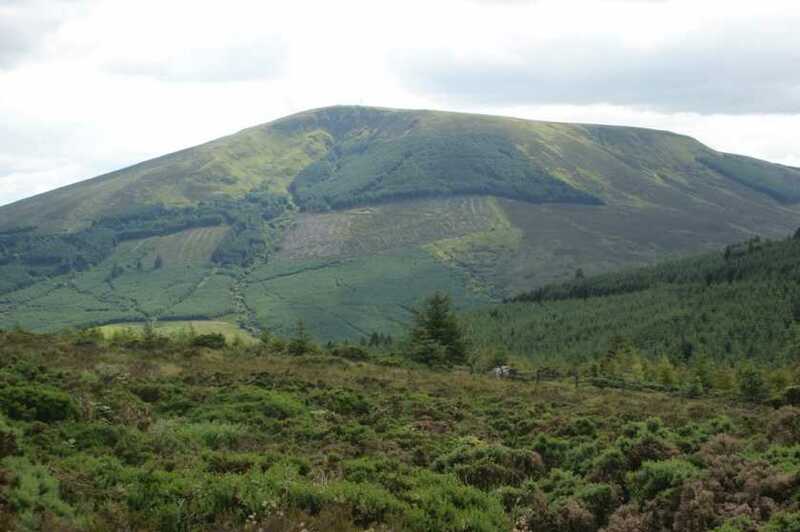 Keeper Hill is the highest point in North Tipperary and one of the island's highest 'inland' mountains. There is a large telecommunications mast on top and hence a well maintained, but untarred, roadway to the top. The easiest route is from Ballyhourigan Wood, near the small village of Killoscully. Follow the main roadway upwards for about 3 km until it levels out. Turn left and walk on for another 3 km until you reach a fork in the track. Keep left here and follow the track up to the summit. Allow 3 - 4 hours for the return trip. To reach the summit from the NE side use tracks to get to R83117 66978 A which is on the southern side of the coum facing NE. As of 2013 there was a faint but useful track to the summit.